Another beautiful home is up for the spotlight today. This is a modern residence that has a spacious interior. 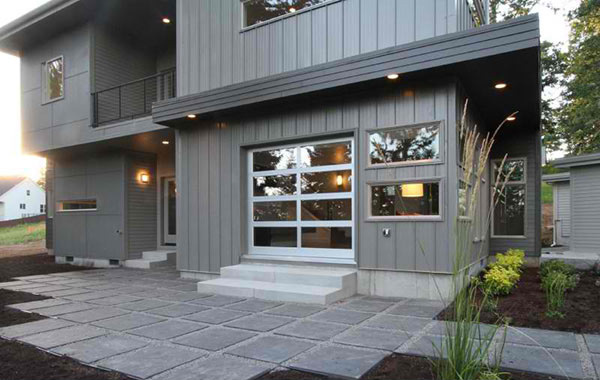 Its exterior looks unique too with a strong appeal that one may link to masculinity. But then, homes don’t have gender and so this house would be best described as a modern home with strong lines. It is perched in a place where the trees and the grass grow giving it a relaxing ambiance from the outdoors. This house is called the SW Hills Custom Residence located in Eugene, Oregon, USA. As we took a virtual tour in the house through the pictures which you will see below, we could tell that the homeowners have comfortable stay in the house with its coziness. 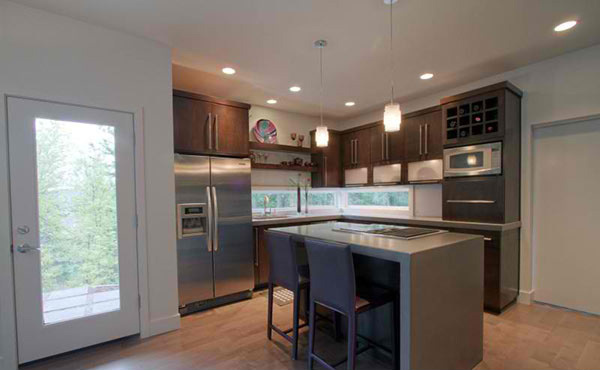 It used gray for its interiors same as what is used in the exterior of the house. Now, let us take a look at his lovely home! Trees and other plants surround the house. A modern style of landscaping was adapted in here. That big door that you see there has some magic that you will see in the next images. So, you are up for a surprise. 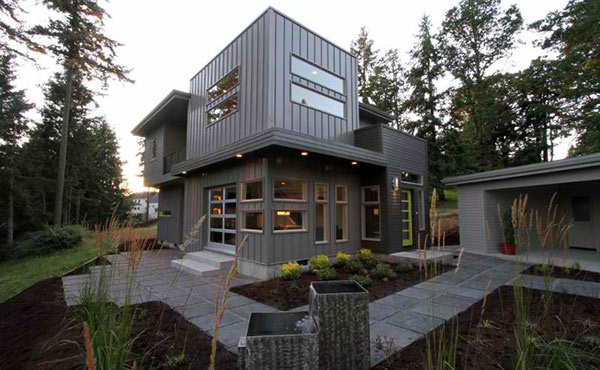 The gray exterior of the house makes it appear strong especially with the materials used in it. This is the living room. But take a look at that door before you go the next image. And now you understand what we mean about that surprise about the door! It can be opened in a rare manner! But worry not. It isn’t the entrance door. That one is. 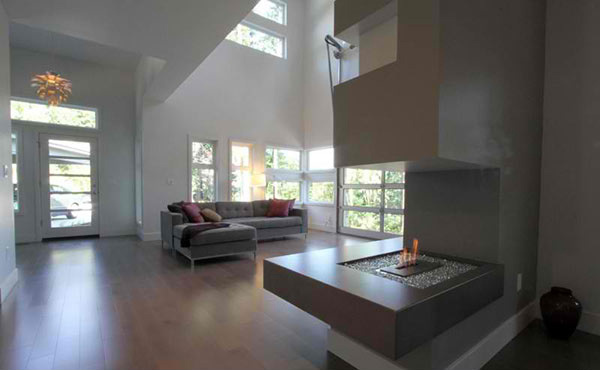 Seen here is also a modern fireplace on a concrete streamlined wall. 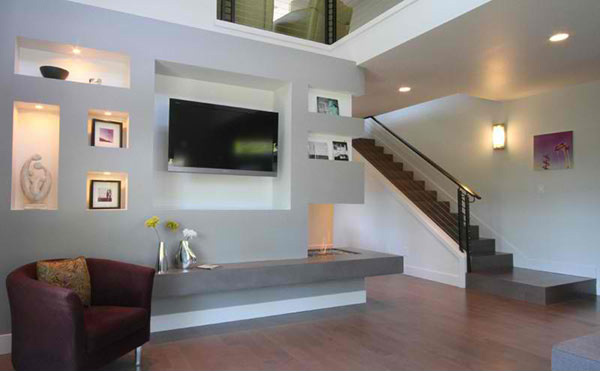 The television is wall mounted for better viewing and we like how the wall is designed with inset shelves. 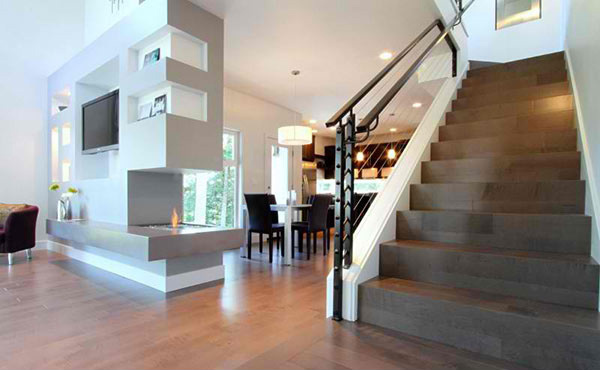 The stairs has that modern look too and has dark concrete treads. 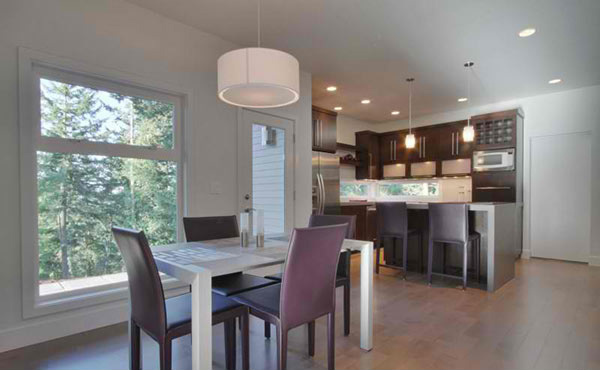 From the looks of it, the house is occupied by a small family because the dining area is just for four people. While the island has only two seats. The kitchen is small yet pretty. 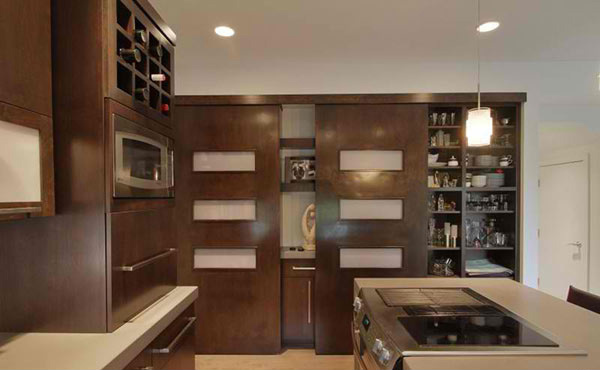 And it is complete with everything a homeowner would ask for like the sliding door for the cabinet. A serene bedroom with minimal design and windows all around it. 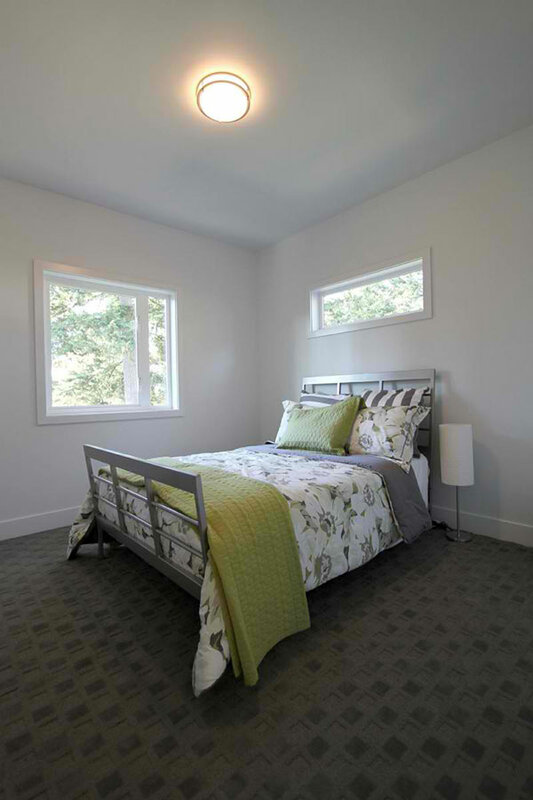 Another bedroom with similar area rug like the other one but this has greens in it. 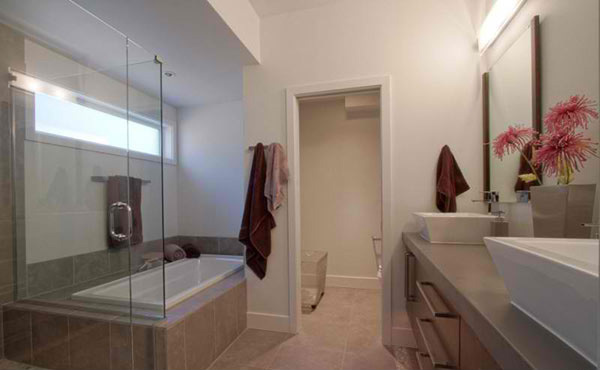 A pretty bathroom which is small yet could offer everything the homeowners need. 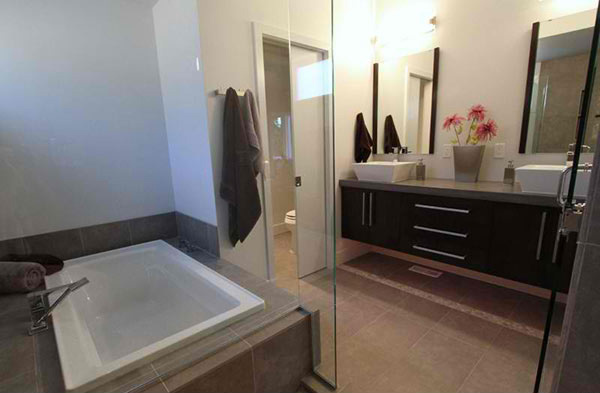 It has a tub and a shower area enclosed in glass. 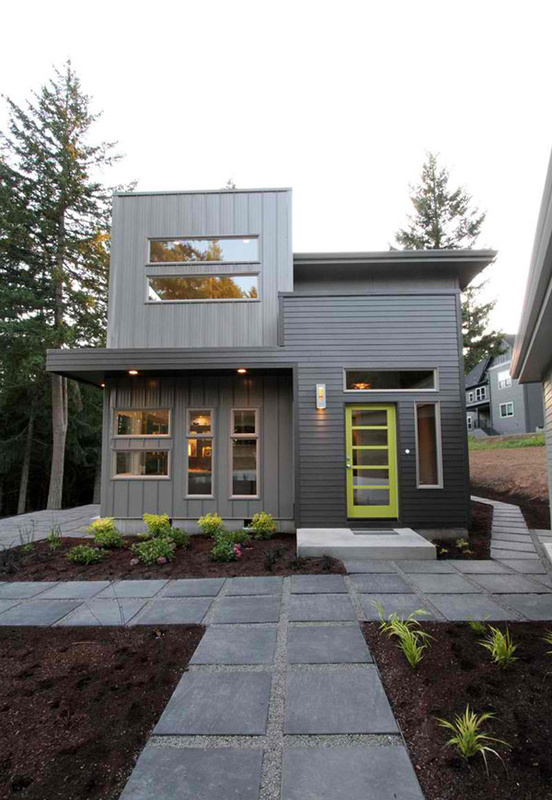 This house is not the first home designed by Jordan Iverson Signature Homes in this area. It means that they are known in the place for being good designers! 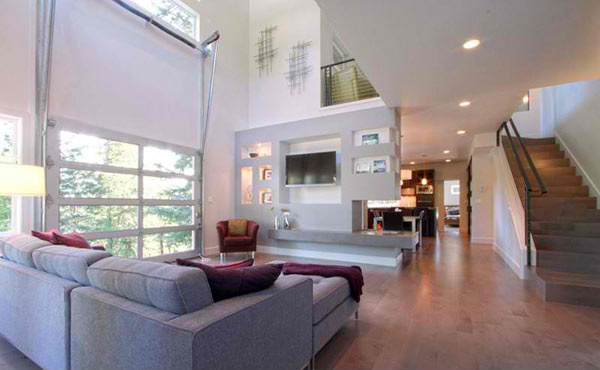 And yes, we can certainly attest to that based on what we have seen in the home design above. Can you tell us what your fave feature of the house is?